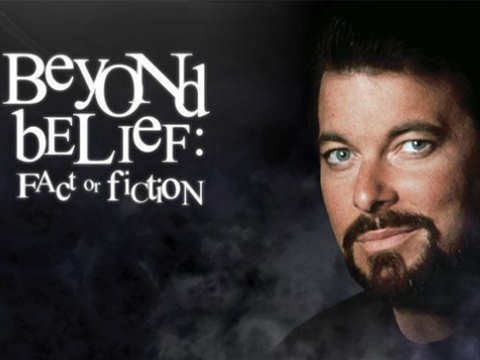 My cousin was a producer and director on the Fox show Beyond Belief: Fact or Fiction. Oscar Nugent and agnes like this. ljc and Raggybluemuffin like this. ljc and bossofbam like this. AcquiringSignal and garypagetwo like this. "stop me before i post again"
Crazy Jerry and garypagetwo like this. And after checking the spoiler before I voted, I was right. Mama looka and Bobby Axelrod like this. Don’t forget original host, James Brolin! Phil A Sheo and freds like this. That dude is a load. You know, this is NOT how you want to act with your new roommates. Don't be antagonistic. Maybe try decaf..? Kobesagent and jcosey like this. damn, I was going to have him reset my sb.com password. I can't remember it. gwartney and Dream Theater like this. I shat in his mouth once at a kegger in 1996.